I certainly didn’t see this coming but cannot say that I’m surprised. As Disney continues to expand themselves as a media giant as well as the fact that one of the major attractions within Disney parks is the Star Tours attraction, the acquisition of Lucasfilm seems a natural fit. And for you Star War fans who thought there’d never be another Star Wars movie… think again! “Star Wars Episode 7” is slated to come out in 2015. Just think how big Disney has become. They own Marvel Comics, They own Pixar. They own ABC. They own ESPN. They have the best theme parks on the planet. They have the best cruise ships on the planet. They own and operate a large amount of lodgings around the globe. And then there’s product merchandising. What’s next? Your guess is as good as mine! 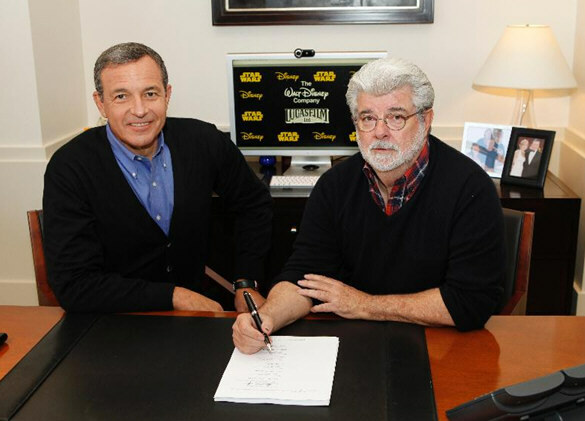 Lucasfilm to join company’s global portfolio of world class brands including Disney, ESPN, Pixar, Marvel and ABC.